Editor's note: This story first aired on WBUR on January 15, 2018 in honor of Martin Luther King Day. WVXU republishes it here in memory of the 50th anniversary of the death of Dr. King, who was killed by sniper fire while standing on the balcony of the Lorraine Motel in Memphis. Communities across the country are marking the Martin Luther King Jr. Day holiday on Monday, including Atlanta, where the civil rights leader was born on Jan. 15, 1929. King is also being remembered where his life ended: Memphis, Tennessee. He was in Memphis to support striking sanitation workers, and the night before he was assassinated, he delivered what turned out to be his last speech. It was a fatal trip, but not his first, says journalism professor and author Otis Sanford (@OtisSanford). In a recent column, Sanford looked back at two of King's highly publicized stops in the city — the first in 1957 following the Montgomery bus boycott when King was just 28 years old, and the second in 1959. "That was when he was just emerging onto the national scene," Sanford tells Here & Now's Robin Young of King's 1957 visit. "Three African-American fraternities in Memphis reached out to him — again, he was 28 years old at the time — and asked him to come to Memphis to speak to African-Americans in Memphis, not just about the successful bus boycott in Montgomery, but also about the growing civil rights movement throughout the South that Memphis was poised to take advantage of." "In the African-American community, it was buzzing with excitement in the black community. There was a a lot of angst in the white community, and there was a little bit of fear that there would be some unrest. But again, this was an event that was put together by African-American educators here in town, the black fraternities. It was never intended to be some protest march. It was really an event for the city to really get to know Dr. King and his emerging leadership of the civil rights movement.
" ... The one [line] that I remember the most, he said, 'It is better to walk in dignity than to ride in humiliation.' And that statement to me goes even beyond just the bus boycott. It spoke to all of the issues surrounding civil rights. The lunch counter demonstrations, the desegregation of schools — all of it had to do with dignity as opposed to humiliation." "Russell Sugarmon and Ben Hooks, who was obviously a very nationally known civil rights leader in his own right, they were running to become the first African-American elected officials in the city, and Russell Sugarmon — who's still alive — had the best shot to win, because there were no runoffs and he was the only African-American candidate against five white candidates. And the voting numbers would have favored him. And Dr. King and Russell Sugarmon went to college together at Morehouse [College], and that's how you got Dr. King to come to town to speak at a rally just about a week or two before the election. There were a huge number of people, it was a packed audience at Mason Temple that night. And he exhorted the crowd to turn out in huge numbers to support that entire African-American ticket, it was called the 'Volunteer Ticket,' that was running to win seats." "Most Memphians — and not just Memphians, but most people — only associate Dr. King with Memphis with 1968. But the fact is, Dr. King cared a lot about the city of Memphis. He cared and he knew a lot of people here. His quest for justice and equality started long before he was asked to come here and support the sanitation workers. And he did so. So I just wanted to remind Memphians, and basically remind the nation, that Dr. King — as a very, very young man — was willing to go anywhere that it demanded in order to try to bring about racial justice, desegregation ... and he did that in Memphis years before the assassination in '68." 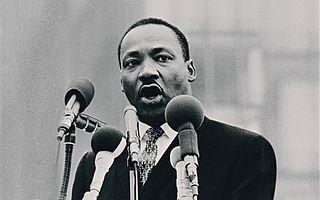 "I always hesitate to say with a lot of specificity about how Dr. King would see today's America. But I have to think that he would look at this and see that we have regressed in a lot of ways. We have taken several steps forward since his assassination. I think in the 1970s and '80s and '90s, and certainly into the 2000s with the election of Barack Obama, there was certainly hope that we were getting somewhere here as it relates to racial equality and certainly equal justice. But now, and for whatever reason, there is this backlash: white supremacists, white nationalists, Ku Klux Klan, neo-Nazis. They're emboldened more now to express their views. I think they think they have political cover to do it. And all of those things are very, very depressing. I think Dr. King would be very upset about that, but he would be speaking out against it as he did in the '60s." This segment first aired on January 15, 2018. For more stories like this, visit wbur.org. On the evening of April 4, 1968, Dr. Martin Luther King, Jr. was assassinated by a single gunshot as he was standing on the balcony of the Lorraine Motel in Memphis, Tennessee. News of his murder sparked rioting in cities across the country and a national outpouring of grief. 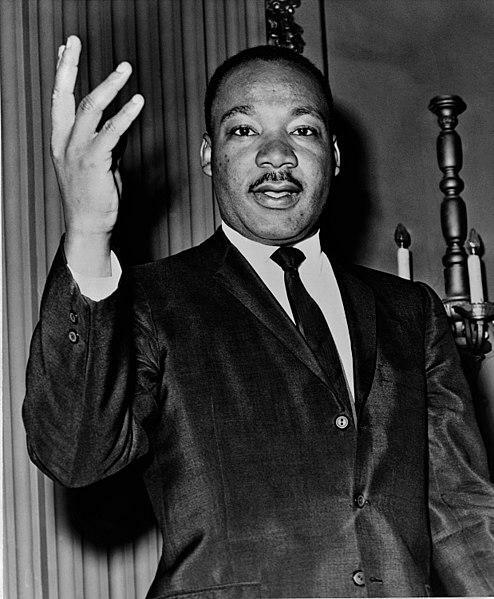 King was, and continues to be, the most recognized face of the civil rights movement. "If Not Now, When?" the theme of Monday's Cincinnati MLK civil rights march, prayer service and commemorative celebration, focuses on Dr. King's message of justice and equality while looking at the challenges of today.